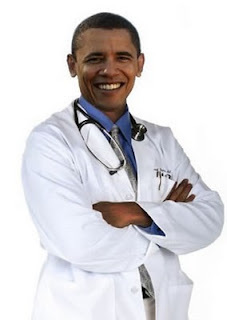 Barack Obama has had greater success on health reform than other US Presidents spanning back decades. The gains are significant: but as Wes Bishop argues, the task of building a public health system still remains before him – and before his fellow progressive Democrats. As this article is published during Easter, the use of Christian imagery is appropriate: especially given the confounding resistance of Conservative 'Christians' to health reform vital for the poor and the vulnerable. Callous indifference to the needs of the vulnerable was not the way of Jesus, and Easter is an appropriate oppportunity to push that message. In the time of Christ it was reported that in front of the Jewish Temple in Jerusalem a porch stretched out in front of the structure and was the home of many a businessman, entrepreneur, and con-artist. These individuals would hope to make a profit off of the faithful as they made their way into the temple to worship. According to scripture this infuriated the pious Jesus who took it upon himself to rid the temple of these traders. In the Gospel of Matthew it is reported that Jesus used force to drive the merchants away turning tables over, yelling, and throwing objects. The Spanish-Greek painter El Greco famously depicted the biblical scene in his masterpiece Christ Driving the Traders from the Temple. The scene for El Greco served a double meaning for the scene of Jesus chasing away the greedy from the faithful was not only viewed as a historic occurrence but also an allegory of what needed to be done in society and specifically the Catholic Church. For in the time of El Greco, as in the time of Christ, and in many ways our own modern world, it was perceived by many that the desire to make money hindered people from seeing what was truly important in life. In our modern world, where western capitalism reigns as the king of economics it is near heresy to question the mantra that “greed is good.” We, especially citizens in the United States, are told that greed is good because it works. It keeps people on their toes, it grows the economy, it harnesses human ingenuity and takes societies to new, unprecedented heights. This was largely the argument that was being made for the past year as Congress and the newly elected President sought to bring reform to the American health insurance industry. On a daily basis appeals to the ideas of greed, free market capitalism, and laissez-faire economics were heard on such outlets as CNBC, FOX, and a host of other radio personalities while calling any proposed measures of health insurance reform a breach of liberty and a slide into dark socialism. Yet, when all was said and done these voices were ultimately ignored and for the first time in American history the blockade of health insurance reform was broken and legislation was passed. The health insurance reform law is far from perfect. As the legislative process dragged itself out on Capital Hill approval ratings for the President, the Congress, and Republican opposition all began to slide as voters became increasingly angry at the inability of politicians to make good on promises made in the past campaign. Yet, poll numbers for politicians was not the only thing that was damaged. As compromise upon compromise was made much needed reform measures were lost. These blatant inconsistencies and painfully apparent sweeteners, that were added to appease certain members of the Congress as well as the titans in the pharmaceutical and health industries, will eventually have to be taken back up in another reform battle. This battle will be one that will once again test the resolve of liberal statesmen and women, and the common idea that no one should be punished or financially ruined because of health problems. However, much has been made about the shortcomings of the new law, and much more time has been spent on the various personalities and political implications the law has. Instead of rehashing these points it would be much more productive to look at what has been accomplished. For the first time ever a President and Congress have been able to take up the cause of health insurance reform and actually win. Never before has this occurred. From Theodore Roosevelt, to Franklin Roosevelt, from Truman to Johnson, from Nixon to Clinton this has never occurred before. For the first time American companies will not be able to charge an individual for insurance only to drop that individual because they become ill. That is now illegal. No longer will a child be able to be denied health insurance because of a pre-existing condition. That too is now illegal. And for the first time tens of millions of Americans will be able to afford health insurance. Like it is said above this law is not perfect. The pharmaceutical industry was able to buy off and threaten enough politicians so that the ability to buy medication across the border with other countries remains impossible for many. Illegal immigrants, humans in every sense save for the bigotry of borders, will not be able to reap the benefit of many of these reforms even if they pay into it. Abortion, a perfectly legal medical procedure, hangs somewhere in legal limbo as the right for a woman to choose what she does with her body is continually assaulted by a vocal percentage of the population. Finally, there was the causality of the Public Option, which brings this essay full circle to the opening mention of Jesus and El Greco. One of the persistent criticisms of health insurance reform is that by forcing companies to cover individuals with pre-existing conditions, and by forcing companies to pay for their clients when they become ill, the government will effectively bankrupt these institutions. No argument is made that people with pre-existing conditions and the sick do not need health insurance to cover the cost of health care. The argument is instead that private industry is not adequate in providing a necessary service to a people of a country. The answer then is simple. Just as capitalists were not the answer in the time of Christ to help people connect with God, so to are capitalists not the answer in assuring the health of a citizenry. In the spirit of capitalism though it is only fair to keep competition alive, therefore it is time to create a public option where individuals have the free choice as to whether or not they want to take their chances with a private firm or whether they want to have a plan that is backed by the collective might of the American government. Undoubtedly, this reform measure will be met with much resistance and rancor. The individuals who make a fortune off of the industry will fight tooth and nail to preserve their way of wealth. It will therefore be the responsibility of the citizenry, the saviours of any democracy, to chase the traders from our temple which is and always will be the halls of our legislative centers. The snows of winter do not melt in the span of a single spring day, but we have seen with this current government that reform is possible. We must continue the push for reform, and paint our own act of chasing the greedy away from our temple. nb: If you enjoyed this article pls join our Facebook group - to link up with other readers, and to receive regular updates on new material. thanks for Barack Obama for the success of the US Health Care. im sure the US people are very happy especially to those people who can't afford the health care insurance.